Advertising is all about being able to convince people to patronize a service or product. It doesn’t only involve reaching a wide target audience, but also turning them into paying clients. If you are thinking about a good marketing approach, there are numerous options besides traditional advertising such as TV/radio commercials, billboards, newspaper ads, etc. Even though traditional advertising has its own benefits, it may not always be the best way to go for small and medium-sized businesses simply because they usually lack the finance for such a costly endeavor. 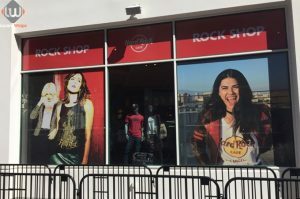 Window wraps, on the other hand, are one of the most economical marketing options in a business’ marketing toolkit today and they are rapidly gaining popularity, not only among small businesses but also large corporations. Traditional advertising is without a doubt pretty costly. In addition to its basic rates, you will also need to take into account the additional costs associated with each advertising medium. For instance, with TV and radio, you will have to consider the increase in prices during peak times to advertise (popular shows or rush hour traffic), and with direct mail, you will have to consider mailing and print costs. Price of billboard ads also varies based on the quality of location and traffic. However, with window wraps, you only have to worry about the initial cost, which will vary based on the intricacy of the design, style or size that you choose. Another great thing about window wraps is that they extremely durable, which means you won’t have to stress about getting them maintained after a little while. Compared to any other form of traditional advertising, you cannot just shut off the message of a window wrap like you would with your TV or radio. 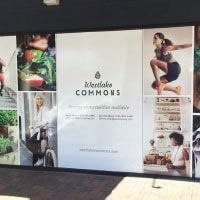 When you put up a creative display on your office or store’s windows, you are compelling passersby to see what you have to say, and more often than not, even encourage them to take check out your store. It is also interesting to note that traditional advertising is not always hassle-free. With certain advertising methods, such as putting up a sign, a banner or a sidewalk poster, you may be required by the law to purchase a permit, depending on the ad’s size. Permits will only add to the cost, and should you fail to buy it, you will be charged with heavy fines. With window wraps, however, you don’t have to worry about any such thing, which means you can save a great deal of time, money and effort. 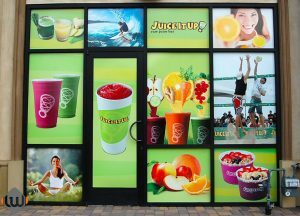 Last but not least, unlike most forms of traditional advertising, window wraps (provided that they are placed near your storefront or office) allow potential customers to immediately check out your business. 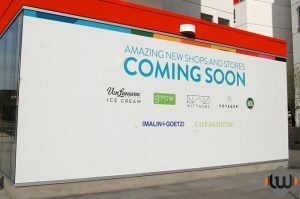 TV ads or billboard messages may quickly slip from people’s minds, but an enticing window wrap placed strategically on your store’s entrance door will not only arouse curiosity in customers but also compel them to take an extra step and check out what you have to offer. To learn more, contact the Lucent Graphic Solutions team today. Your consultation with us is free.